Do you imagine that you can watch your own wedding video trailer meanwhile you are having desserts on the same day of your wedding? Without no need to wait desperately 3 months to get it? Sama and Mo, could do it ! 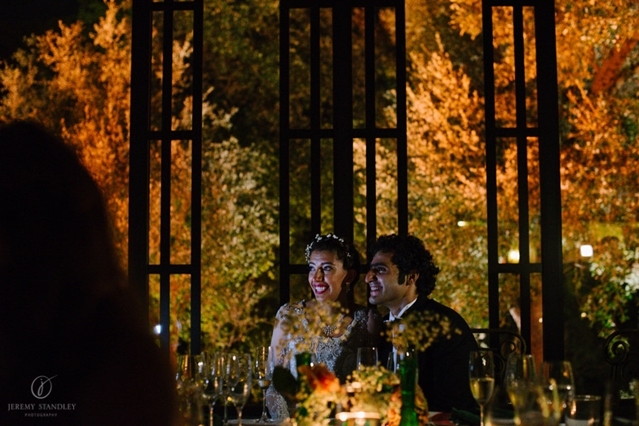 And so, we are very excited to share the video of our Kuwaiti wedding. The shabby-chic wedding of Sama and Mo. A fantastic “same day edit” that was screened during the desserts the day of the wedding . The newlywed couple and all the guests could discover the moments of the preparations, the emotion of the ceremony, the cool and fun cocktail time and the glorious entry of Sama and Mo to the dining room….. Incredible, isn’t it? Believe me if l tell you that Sama and Mo (and all the people) were absolutely under the suprise and couldn’t believe their eyes. A super original, great and dynamic video where Pere, from visiondpelicula, knew how to capture each moment of the wedding day: laughs, emotions, stress.. Thank you so much Pere for your great job!! Enjoy the video. This is simply BEAU.TI.FUL. Chapeau! ¿Os imagináis que pudierais s ver vuestro propio vídeo de la ceremonia durante el mismo día de la boda y que no tuvierais que esperar 3 meses para verlo? Sama y Mo lo pudieron hacer. Estamos muy contentos de poder compartir con vosotros el vídeo de nuestra boda kuwaití: la boda shabby-chic de Sama y Mo. Un fantástico “same day edit” que se proyectó durante los postres el día de la boda. Los recién casados y los invitados pudieron ver los momentos frenéticos de los preparativos, la emoción de la ceremonia, el “happy time” del cóctel y la entrada al salón… Increíble, ¿no? Y se quedaron con la boca abierta… Un original y dinámico vídeo en el que Pere, de visiondpelicula, supo cómo capturar momentos especiales y al detalle. Poco más de seis minutos que se hacen muy muy cortos… ¡Muchas gracias, Pere, por tu ES.PEC.TA.CU.LAR trabajo! Disfrutad del vídeo.